Israelstine – is a binational solution possible? IT strikes me there is something pitiful about the two-state tango in which both Palestine and Israel are caught in an existential embrace from which neither country can extricate itself. Sure, recognition of a Jewish State contingent on there being a democratic Palestine in which human rights are preserved. But this leaves out an important third grouping. Those citizens who identify with a broader social project in which both Jews and Muslims (as well as Christians) may find a home within the context of a secular/democratic society. Such dreams of an Israelstine refuse to die out. They abound in the cherished ideals of those who seek a unitary state or one-state solution modelled upon the South African federal experience. South Africa is a unitary state with provinces that have a remarkable semblance of autonomy despite constant attack by those who wish to centralise power. Could a tripartite or federal solution work in Israel? Can all three of the world’s religions be accommodated? What exactly would a three-state solution entail? First off one would want to grant the Jewish people a state in which the halakha was practised and where Judaism was the dominant religion and legal code. Next, you would want to ensure a state for Palestinians, in which democracy and human rights was guaranteed. Finally, and crucially, you would want to accommodate those who fit into neither camp, either because they were not Jews per se, (not observant enough), secular Israelis or Palestinians who wished to live in areas not granted to the autonomous number 2 state. This would be the state on paper which together with the two states above, created a new state of Israelstine, a state which for now only exists in the imagination. Now all three entities (and the citizens they contain) might argue as to the exact meaning and terms of independence. Undoubtedly the Jewish State and the Palestinian State would be independent and autonomous, however they would find themselves agreeing that the neutral third state also had rights and responsibilities necessitating some form of nation-building — a national anthem, even a new flag which might be an amalgam of both the current Israeli and Palestinian flags, or as some have found, a piece of white cloth with two blue stripes and instead of a lone Star of David, the Cross and Crescent Moon on either side. Has time run out for the lone star state? Do we need a huge rethink about Israel and Palestine? Can there ever be security behind borders? Such an Israelistinian affair would necessitate a constitution, a federal parliament in which all three states could meet an enact laws. Since all three states would have enormous levels of autonomy, they might evolve like the European Union, as an economic entity first and foremost, with political issues secondary. However which way it was organised, the new state of Israelstine would allow for the full expression of Jews, Israelis and Palestinians in a co-operative and non-violent manner. It would allow all three states to coexist with the Arab scene as well as the International community and Jewish Diaspora. NOTE: Another exercise worth doing is to remove the religious divides completely. Let us think up a state in which only linguistic groups are accommodated. Since most English speaking Jews identify with the Diaspora, and not Israel, it makes sense to talk about the Hebrew State as opposed to the Jewish State. 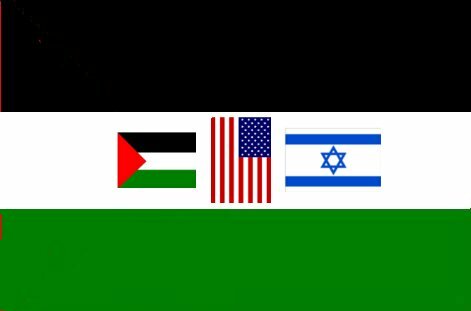 In fact a three-state solution might accommodate the religious in one state, while those who comprise a particular linguistic group would live in another state. Both states would be part of the third larger state in which secular and profane could coexist alongside the sacred and profound. Is Godsell looting South African energy sector?